Is it weird to wonder what other people spend their money on at Sephora? We hope not, because it’s a subject we often have on our minds, and we’re particularly interested in what ends up in the shopping baskets of our fellow health and fitness aficionados. Why, you ask? We’ve found that these women take just as much pleasure from keeping their skin in shape as they do their bodies, and they’ve got the complexions to prove it. Case in point: wellness guru Danielle Cuccio. We recently had the chance to chat with the celebrity yoga instructor and were surprised when she told us about her battle with having combination to dry skin, given her clear, envy-inducing glow. Eager to learn about the products she usually gravitates toward, we followed her lead into a Beverly Hills Sephora to get the inside scoop. Missed last week’s Snapchat story or simply want to step up your skincare game? Keep scrolling to hear all about Cuccio’s Sephora excursion and see the items that made it into her shopping cart. Fun fact: Before Cuccio became a yoga instructor, she was an esthetician, and even though her days are now filled with teaching yoga booty ballet, private yoga classes, and updating her wellness blog, her passion for skincare has never faded. Cuccio explains that her skin gets especially dry after a shower, so she’s always on the lookout for moisturizing products that’ll help ward off flakiness—particularly during the cold, dry winter months. And since she’s constantly on the go, she needs items that she can easily throw into her gym bag for an after-class refresh. Her top piece of advice for finding the right skincare routine? “Be gentle and patient,” she says—which was top of mind for the blogger as she tested products at Sephora on our weekend trip. As she strolled through the store’s endless aisles of makeup and skincare, Cuccio came across one of her go-to moisturizers. 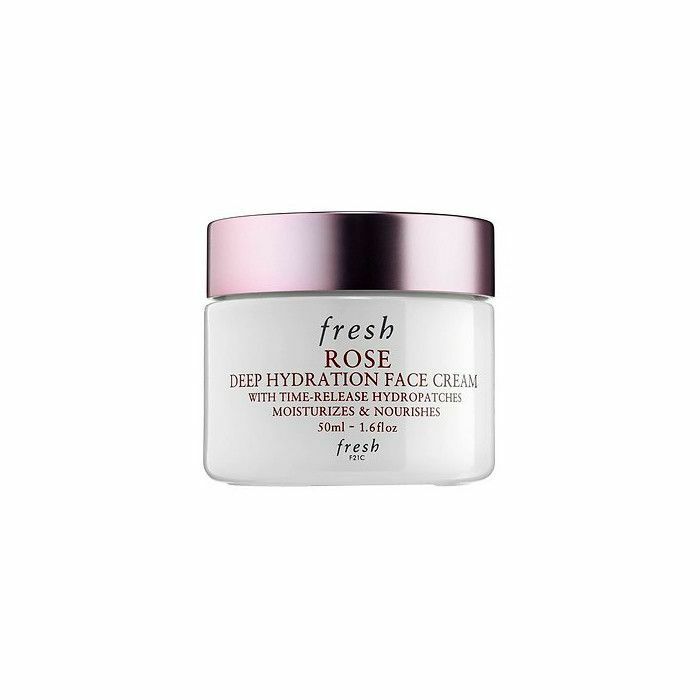 “Fresh Rose Deep Hydration Face Cream ($40) is one of my favorite products,” she explains. 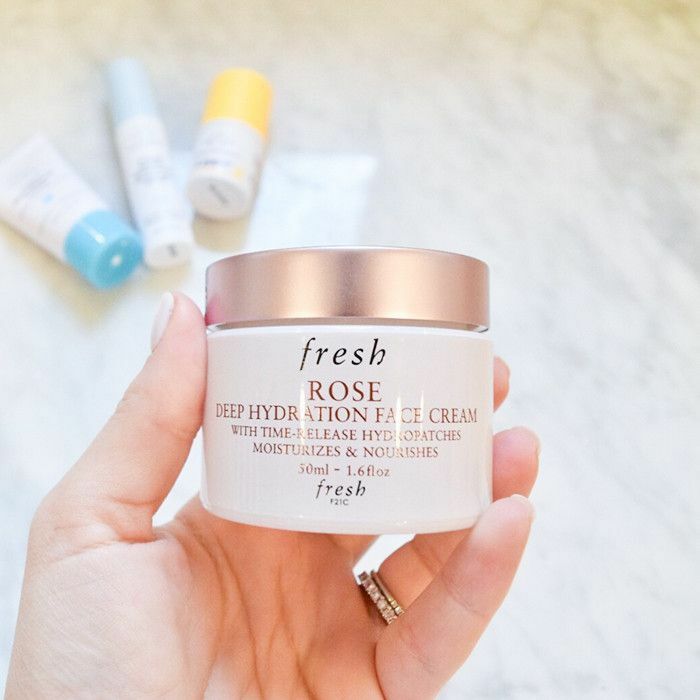 “I use it morning and night, and the rose really helps soothe my skin, especially in the harsh winter months." It has a good reputation among other beauty lovers as well—the product has over 20,000 loves on Sephora.com, and for good reason. The lightweight gel-cream formula is perfect for Cuccio’s skin because it packs a punch without being too heavy. It uses time-release technology to help seal in moisture throughout the entire day, thanks to the combination of hyaluronic acids. Not only that, but rose water is known for its soothing properties, while rose flower oil helps nourish dehydrated skin. Even though it’s winter and the sun may not be shining, you still need to wear SPF every single day to aid in the prevention of free-radical and oxidative damage that ages skin. 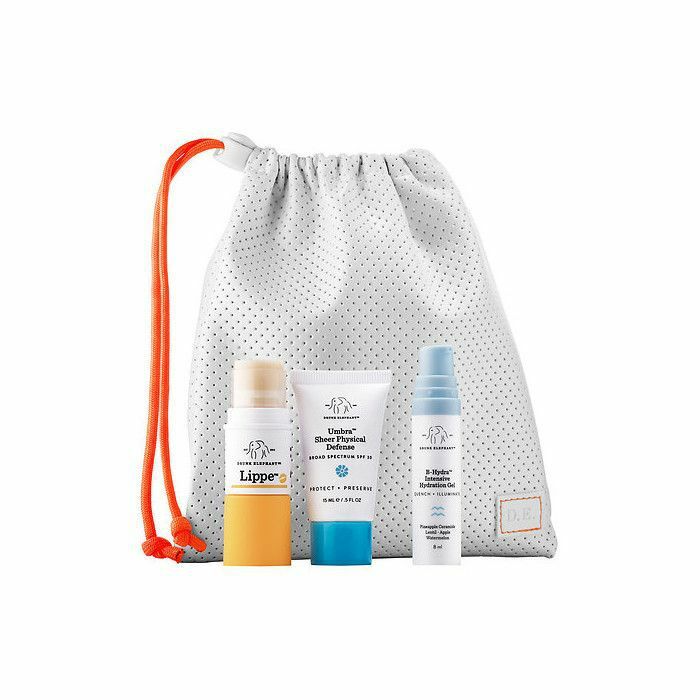 For this purpose, the SPF isn’t the only product in the kit worth giving attention to. The B-Hydra Intensive Hydration Gel visibly brightens and improves skin texture and tone, while Lippe, the antioxidant-rich moisturizing balm, helps rejuvenate, visibly plump, and nourish flaky, cracked lips. After inspecting a handful of products, Cuccio decided she was happy with these two finds and made her way to the register—then it was time to meet her friends for brunch (it was the weekend, after all). What’s your favorite hydrating ingredient to use in the winter? Tell us below. And don’t forget to tune in this Saturday to @byrdiebeauty on Snapchat to watch another health and fitness pro take us along on her Sephora shopping spree!